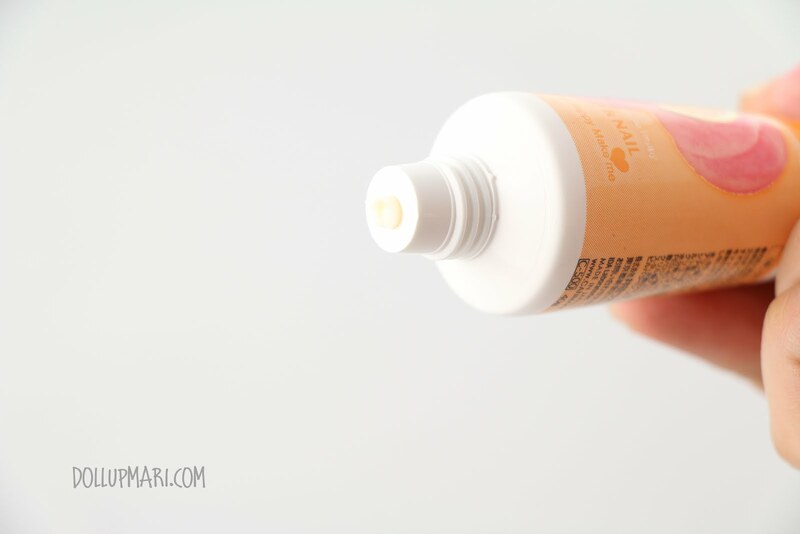 I have eternally dry hands so this was kind of a refreshing product to use. 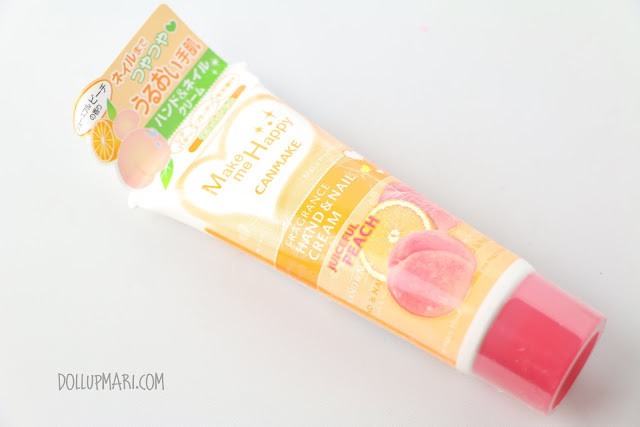 But meh, who am I kidding, this is a refreshing product to use! 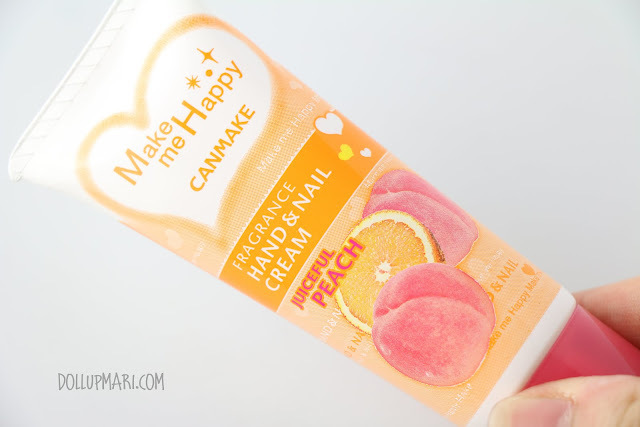 This is CanMake's Make Me Happy Fragrance Hand Cream in Juiceful Peach. 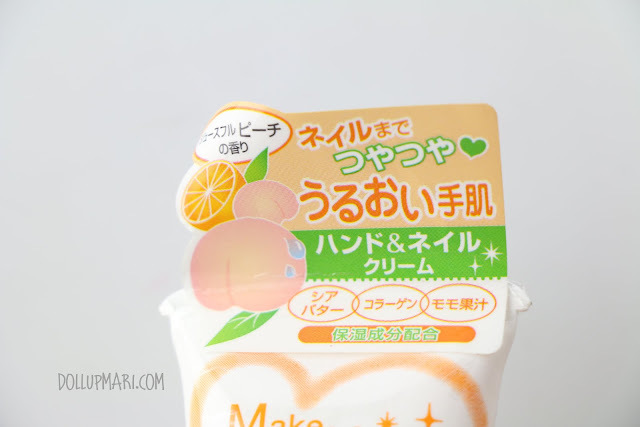 It smells really lovely, it's a good take on peach because the usual peach scented items smell too fake that it's dizzying. I like the addition of a citrus fragrance to it to balance out the really sweet smell of the peaches. In terms of fragrance, the smell is really good but does not last for more than two hours which is kinda sad given that the other hand creams I've owned still have a relatively strong smell even after a whole night. This promises to make even your nails shiny, and boasts having shea butter, collagen, and peach juice in it. But aside from the three, it also boasts having glycerine, hyaluronic acid, polyglutamic acid, baobab extract and petroleum jelly. In terms of application, the nice thing is that absorbs really quickly and does not leave this sticky feeling even with someone like me with very very sweaty palms. It also absorbs quickly meaning i have less downtime and can go back to doing stuff much faster compared to other creams. 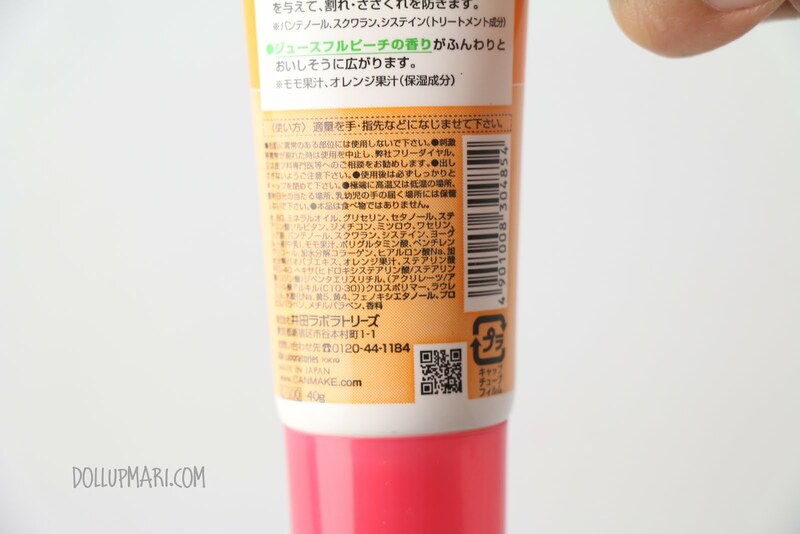 However, this also means that it's not as quickly moisturizing as other creams. When I have severe dry palm attacks, I have to use this about three to four times and hour just to feel a noticeable relief. 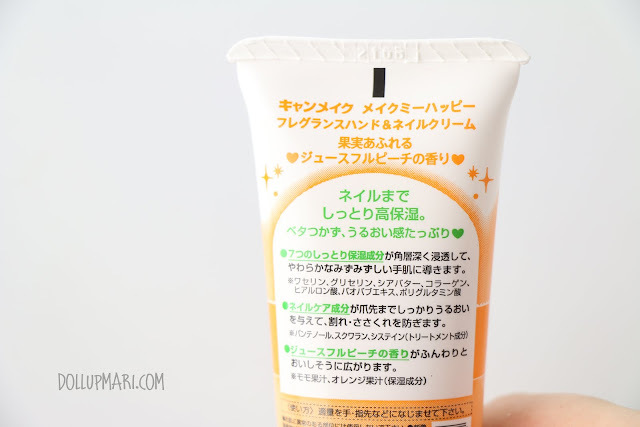 This will work for daily care and all, or when you're just with slightly dry hands, but if they're really dry you'd most probably want to reach out for a more emollient hand cream. Bottomline this hand cream is fragrant enough to make up for its shortcomings!